Shop for used cars online in the Medicine Hat area here. Explore our rotating inventory of 50 used cars for sale — whether you’re looking for a pre-owned car, SUV, or crew cab pickup truck. 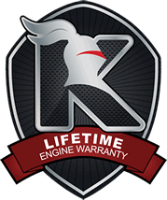 If you need help finding the best used car for you, check out our used car buying guide or learn more about our Lifetime Engine Warranty. 2016 Dodge Journey CVP, accident free, low KM, AM/FM radio w/CD player, AUX & USB inputs, aftermarket remote start, cloth interior, power locks, power windows, power mirrors, and more! 2.4L 4-cylinder engine. Passed our comprehensive inspection with no issues. Come get his great SUV today!Get everything you want including our free LIFETIME ENGINE WARRANTY and a fair price on all our used vehicles thanks to Active Marketing Pricing! Free delivery within 300 km of the dealership! Call to schedule your test drive today!Jackson Dodge is your authorized Chrysler, Dodge, Jeep, and Ram dealership in the southeast Alberta badlands. We have a great selection of new and pre-owned vehicles that are just waiting to hit the road. We pride ourselves on outstanding customer service and will do our absolute best to get you into the vehicle you want. Shopping for used cars doesn’t just give you the obvious benefit of buying a car at a reduced price. There are numerous reasons to buy used, if that’s the route you’ve decided to take. Lower depreciation: Your pre-owned car doesn’t lose as much value the second you drive it off the lot. Cheaper features and add-ons: Features and technology like navigation systems, sunroofs, heated seats, and more are cheaper on used cars than when you try to add them on to new cars. Cars Last Longer Now: So you can get a high-quality car at a much lower price.